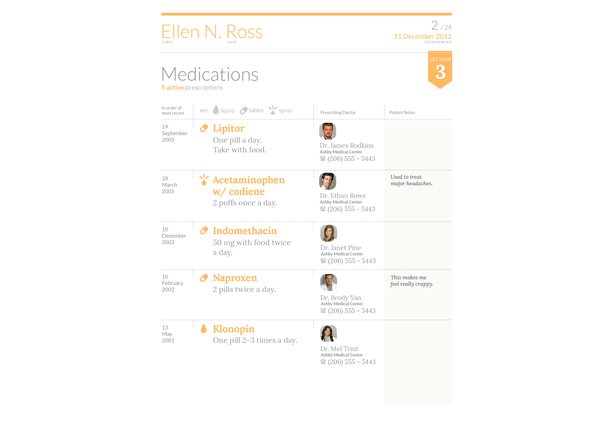 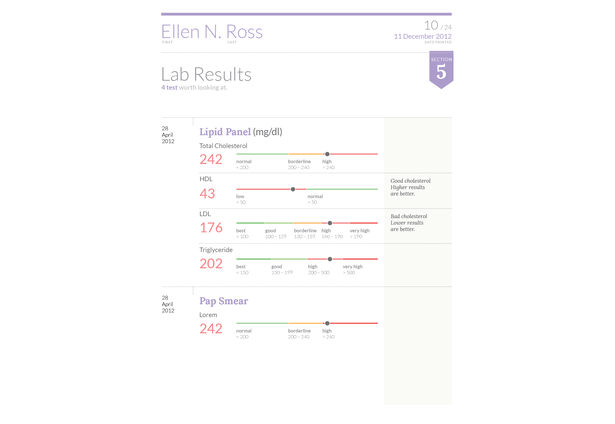 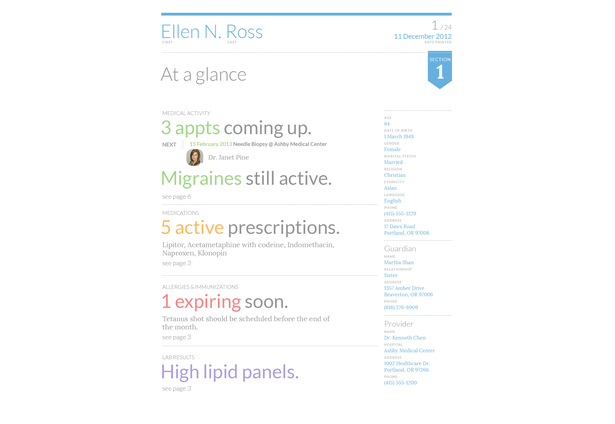 'Stay Well' is a medical record that helps patients see what matters most. 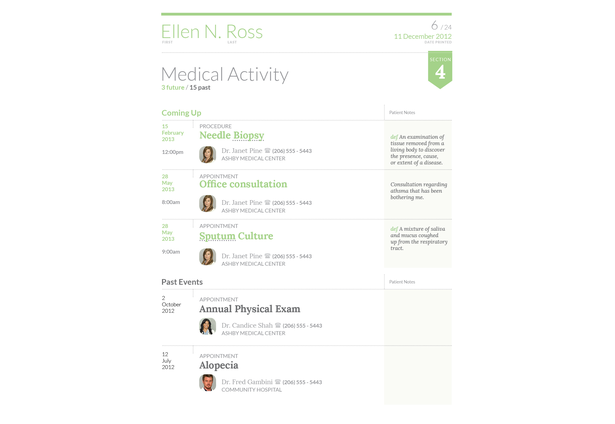 This design divides the content into different sections that are organized chronologically. 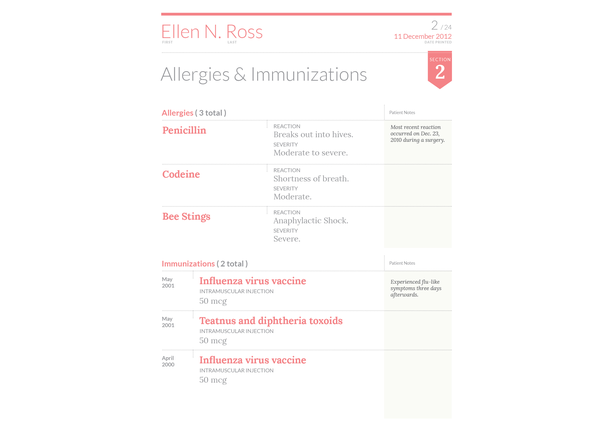 The inclusion of a summary page that helps highlight and bring important information to the front, but still assisting the viewer with navigating to the desired section for more information. 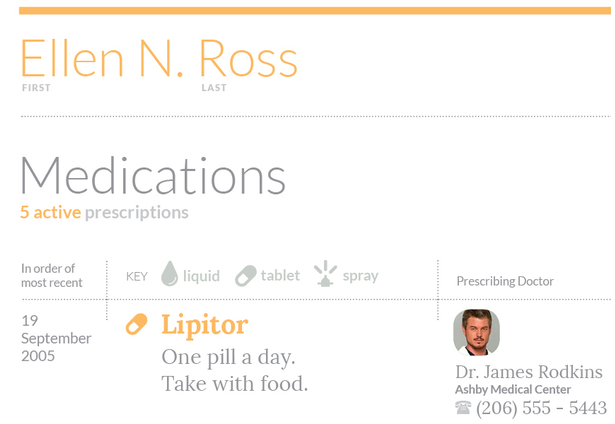 We used open source Google Fonts (Lora and Lato). 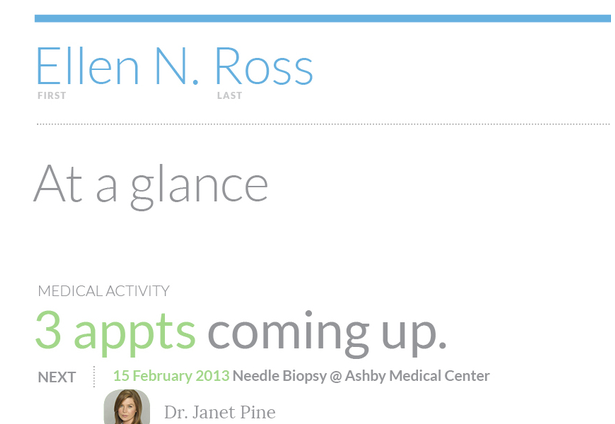 Color coordinated sections help people navigate through content. 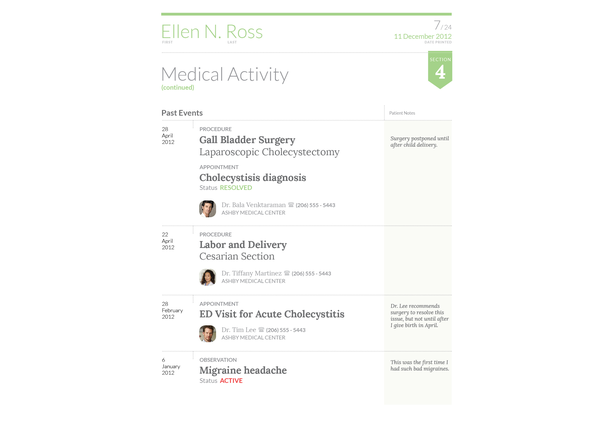 Space for notes (made by patient or doctor).